Merton Council has won an award for its efforts to raise awareness of and tackle food poverty in partnership with organisations across the borough. The council received the award for Most Improved Borough at the Good Food for All Londoners event, held at City Hall. Merton Council successfully bid for £5k of funding from the charity Sustain and the Greater London Authority earlier this year to develop a Food Poverty Action Plan for the borough. Sustainable Merton have been leading the project, which aims to coordinate initiatives across the borough to reduce food poverty. Two partnership workshops were held over the summer to develop the plan. The Food Poverty Action plan focuses on bringing together partners from across Merton to deliver a co-ordinated approach to tackling food poverty. This includes working with organisations to reduce and re-use surplus food in the borough and encouraging education on healthy food preparation and meal planning as well as supporting the wealth of voluntary and community activity already happening in Merton. The plan will support a range of initiatives to help families facing food poverty, including expanding the Healthy Start Voucher scheme, which enables eligible pregnant women and parents with children under the age of four to claim free vitamins and receive help towards the cost of healthy food. The number of locations accepting Healthy Start vouchers has increased from one to five. 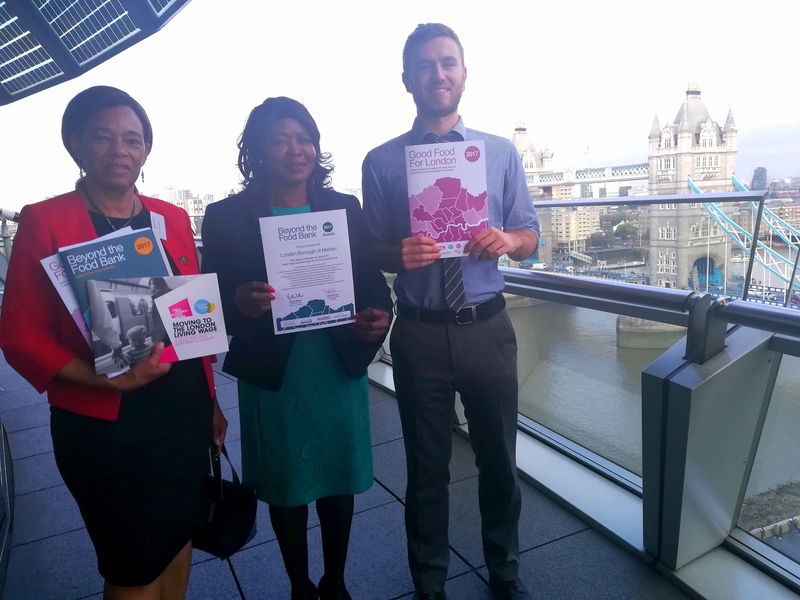 Merton Council’s Cabinet Member for Adult Social Care and Health, Councillor Tobin Byers said: “Tackling food poverty is an important way of bridging the gap between families who struggle to afford healthy food and residents who can afford fresh ingredients.